Instructions for signing up. Parents and Students are encouraged. Standard text messaging rates apply. (If you do not have unlimited text, do not sign up for this!). 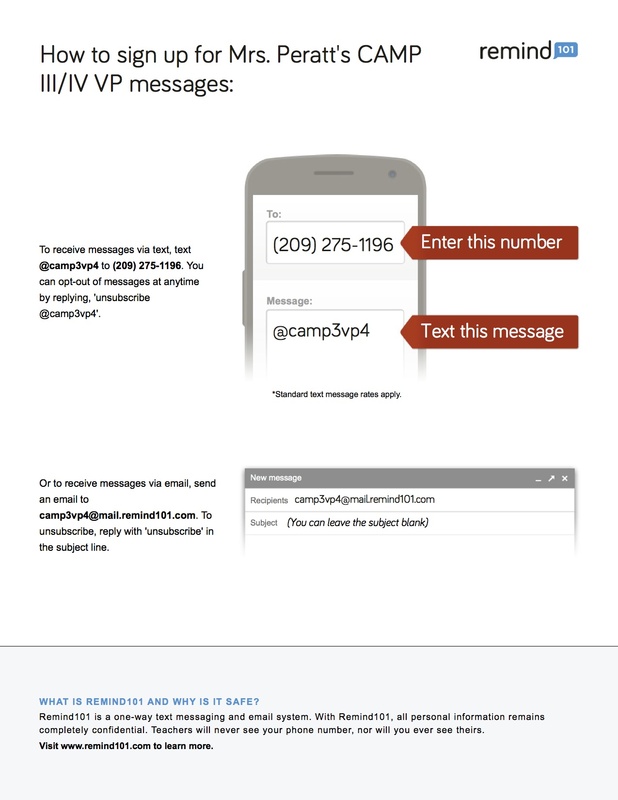 There is an email option, however, the messages most likely be read in a text. **Parents, I sometimes schedule these for 6:15 in the AM. If you do not want to receive a text that early, you might consider the email option. Thanks for your support.